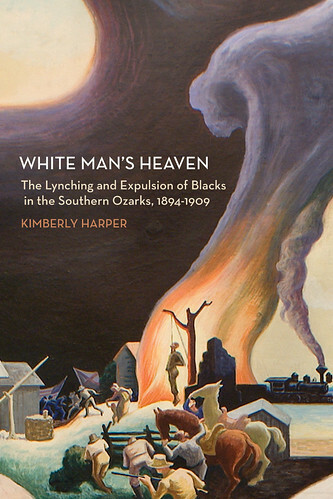 “Drawing on court records, newspaper accounts, penitentiary records, letters, and diaries, “White Man’s Heaven” is the first book to investigate the lynching and expulsion of African Americans in the Missouri and Arkansas Ozarks in the late nineteenth and early twentieth centuries. The book has received high praise from noted scholars Edward Ayers, Fitzhugh Brundage, and Brooks Blevins. Keep an eye out for it in the fall. If you want to pre-order, you can purchase it on Amazon.com or through the University of Arkansas Press. At the time of the book’s release, we’ll offer more comprehensive coverage. UPDATE: Check out the White Man’s Heaven website at www.WhiteMansHeaven.com.